Quoted from the official Saba News Agency, the Minister of Public Health and Population Dr. Taha al-Mutawakel discussed with the World Health Organization (WHO) Charge airfares ways to response to the outbreak of the cholera epidemic. At the meeting, Dr. Al-Mutawakel called on the organization and all international organizations to play their role in confronting the cholera epidemic and limiting its spread. 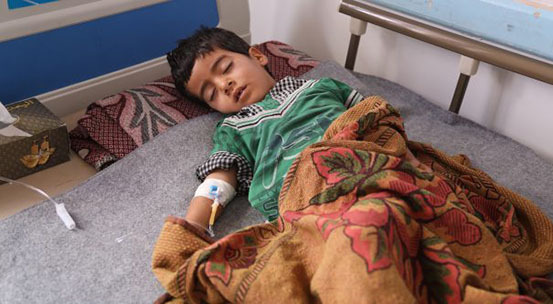 “The organization’s response does not rise to the emergency situation that the Yemeni people are going through in the severe wave of cholera,” he said. The Minister of Health pointed out that the strategic stock of solutions in the ministry is about to run out .. He called on the organization to pay the dues of workers in treatment centers and rapid response and emergency teams. Yemen Drug Company (YEDCO) plant and its operation to meet the needs of Yemenis from medical solutions.